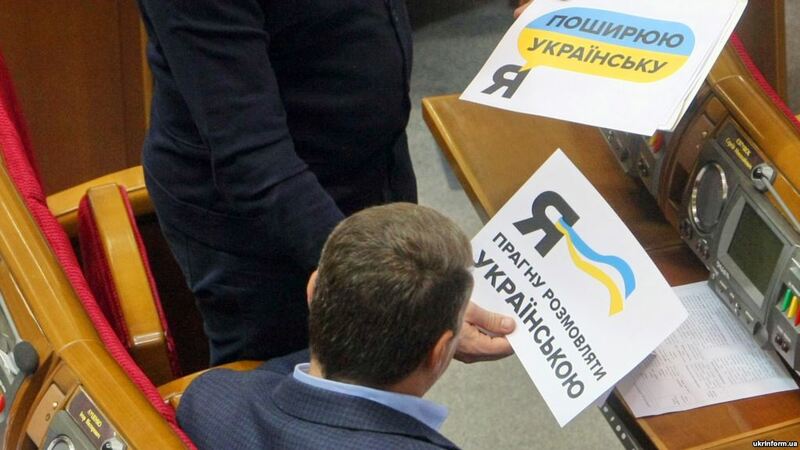 The Ukrainian language should be the state one, according to the team of Volodymyr Zelensky, the candidate for the presidency. However, it should be popularized by benefits and rewards as 112 Ukraine reported citing Dmytro Razumovsky, the Advisor of Zelensky, who commented on the draft law on language. He expressed the opinion that the language issue is used for the political purposes in Ukraine in the run-up to the elections. “IF we talk about the languages in general, the position of Zelensky is very simple: the state language is Ukrainian. Any alternative is possible; it is written in the Constitution. If we talk about the popularization of the Ukrainian language, it should be done and it takes place today. But usually, the normal states follow the way of carrot – the creation of the beneficial conditions; the decrease of the taxation for products released in the Ukrainian language,” Razumovsky noted. According to him, the release of the printed products should not be prohibited because it is the influence on the business. “If there was the necessity to adopt this law, it should be done in 2015 to prevent the rumors that is connected with the election campaign,” he emphasized.